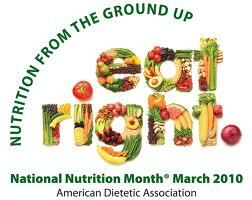 The month of March is National Nutrition Month! This campaign was designed by the Academy of Nutrition and Dietetics to help jumpstart people into getting healthy. While healthy habits should be practiced all year long, if you haven’t been so dedicated now is the perfect time to start. Bikini season is right around the corner so why not join the movement and get in shape just in time! There are many ways to replace your unhealthy habits with smarter choices for a healthier body. The theme for National Nutrition Month this year is “Eat Right with Color”. The more colorful your plate, the more nutrients you are getting and also a better balanced meal. Be sure to load up on lots of lean protein, such as chicken or fish. Green leafy veggies are also a great source of vitamins and fiber. Whole grains should be incorporated into your diet as well as yummy fruits such as blueberries, strawberries, bananas and mango. 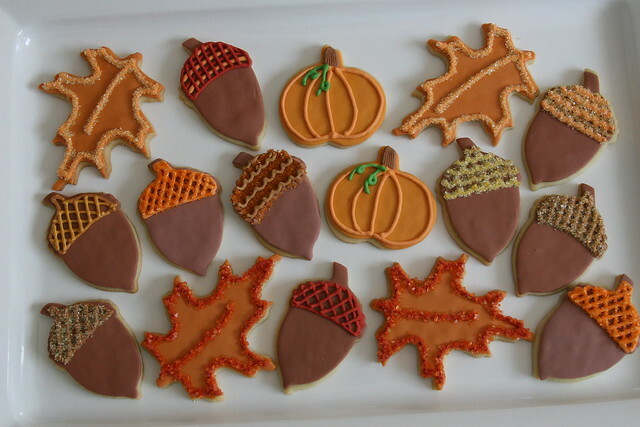 You can splurge every now and then with your favorite treats, but always remember portion control! Shed pounds and stay fit by adding at least 30-40 minutes of exercise into your daily routine, taking a break about once a week. Regular exercise is paramount for your overall health. It improves heart health, decreases risk of disease and improves strength and well-being. Go for a brisk walk or run in the morning before heading into the office or swim laps in the pool. Taking a scenic bike ride or go for a hike. Dancing and yoga are also good sources of exercise and burn lots of calories. As long as you are staying active your body will thank you! Why not let National Nutrition Month jump-start your diet and fitness routine now? It’s never too late to start and you’ve got nothing to lose– except a few pounds of fat and some bad eating habits of course! Keeping Active this Fall- it’s easy! From our Massage Envy Touch of Wellness Blog, we bring you our top 10 tricks and tips for keeping active even as summer passes by and we become preoccupied with the upcoming holidays and stress of everyday tasks. Do your best to follow a personalized fitness plan daily and you’ll see results! 1. Find what you love. Whether it’s clearing your thoughts during a long run or dancing the night away in a Zumba class. 2. Make fitness a priority. Like paying bills and doing laundry, working out should be considered an important priority. Not something you do every once and a while. 3. Run (or walk) an errand. Leave the car behind. Try running your errands on foot, or bike instead. 4. Grab a friend or family member and catch up on a long walk instead of via e-mail or phone. 5. Don’t forget, doing chores around the house burns lots of calories. Great way to kill two birds with one stone! 6. Have an hour lunch break? Take advantage and squeeze 30 minutes of walking in. It will feel good to stretch your legs mid-day. 7. Track your progress. It’s important to note major milestones, like your first 3-mile run or the half-day hike you conquered. 8. Be proud of your accomplishments and share them with family and friends. That extra motivation will keep you going. 9. Switch it up. Don’t let fitness get boring. Find a variety of activities that get you moving and feeling good. 10. Baby steps. It takes time to work up to your fitness goals. Stay positive and stick to your healthy living routine.